I really liked the first Ultimate Alliance, and the sequel fixed almost every problem/annoyance that i had with it. 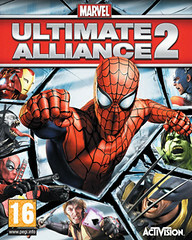 Ultimate Alliance 2 was, in a word: Awesome. It’s a top-down action game with RPG elements, reasonable multiplayer, and comic book heroes (and villains!) galore. It has a good story with a great moral dilemma, which is (mostly) meaningful to the story. The pace of the game was good, the story was really good. I played as spidey most of the game (who wouldn’t?) until the second playthrough, where I did a lot of the game as Thor. I almost always had Wolverine in my party, and the 4th was pretty random, to try out most of the other characters. I never unlocked Hulk, one of my favorite characters. And hulk was the ONLY character i didn’t unlock. I played through the game twice, once on my true choice of anti-registration, and then once on "super hard" as the pro-reg side to get all the story achievements. But i never found all the things you need to unlock hulk, and i didn’t want to go back through every chapter to figure out what i missed. the downloadable content was only available for a very limited time (November 5th through December 31, 2009. Apparently, Activation’s licensing agreement with Marvel expired at the end of 2009, so they had to stop offering it? Lame. My biggest complaints with the first one were that you could only save at certain locations, and that you could also only revive/swap teammates at certain locations. This game fixed the save issue mostly. You could save at any time, but depending on where you saved, you might load back at an earlier checkpoint (but with all of your stats/etc saved). You could swap in and out other characters whenever you wanted, which was cool, and you could heal/revive anyone as long as you had a healing token, and you could have up to 2, so that was fair. It seemed like there were much less CGI in this one compared to the first, though. Which was good in a way: While playing through the first one years ago, my xbox was having disc read issues, and this was before you could copy games to the hard drive. Marvel was one of the worst offenders…I’d get through a section, it would load up the CGI, then disc read error and back to the dashboard I’d go. And of course, all of the save points were AFTER the cut scenes, so i had to replay almost every chapter and then pray i could get the thing to load before it would fail. I played the whole game almost twice just to finish it once. The conversation system was a little more meaningful this time too, instead of just being snarky like i always did with Spiderman, you always had 3 options, aggressive, diplomatic, and defensive, and answering certain ways unlocked things, so that was cool. I liked the equipment options you had in the first one, but you always ran out of inventory space and couldn’t get the things you wanted, so the “boost” system in the sequel was simpler, but much easier to manage. I loved in the original when you could get weird conversation pairs, like Dr. Doom talking to himself. 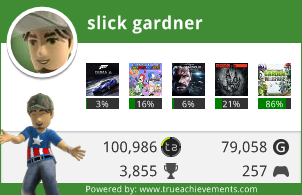 There was a little of that in this version, but i didn’t see any related achievements like the original had. All in all, a great game. There haven’t been many games that I’ve played through multiple times, but i think this might have been the best of them! Lily and I loved playing through this title in local coop. It’s actually really difficult to find xbox 360 games that can be enjoyed by a child and an adult. I liked it as much as the Lego series. Though the wii is still the winner for family gameplay. We started playing UA1 after this, and sent it back after 20 minutes because of the frustrating reasons that you mentioned. i only played a little local coop with jimbo and bri during xmas. Because of the issues i had with UA1, i wasn’t even going to play it until i played it at their house!